Good morning, everyone! Can you believe it? 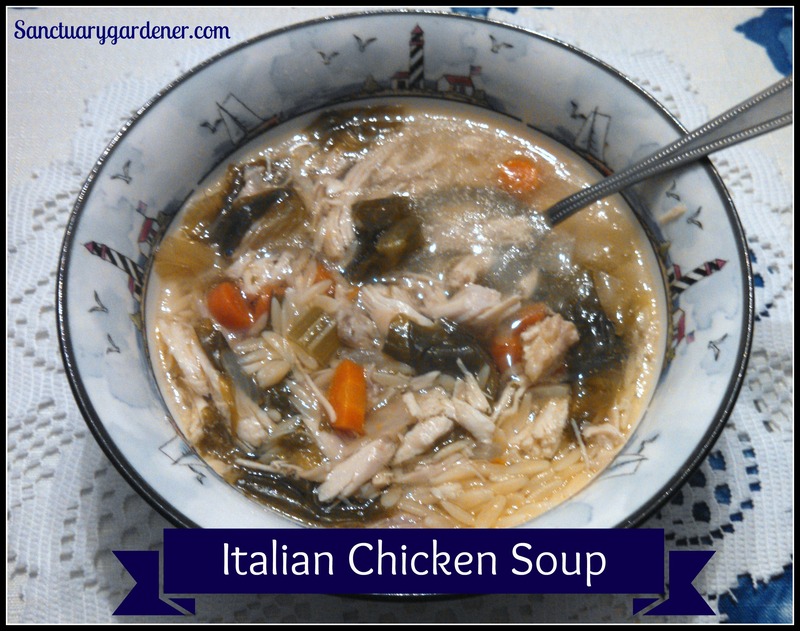 I’m sharing with you TWO recipes this week? 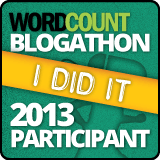 I’ve been cooking up a storm – in spite of the fact that I’m working my fingers to the bone on my job. (Hmmm….maybe that’s making me hungrier than usual?) Anyway, I’ve got another autumn meal in store for you today. 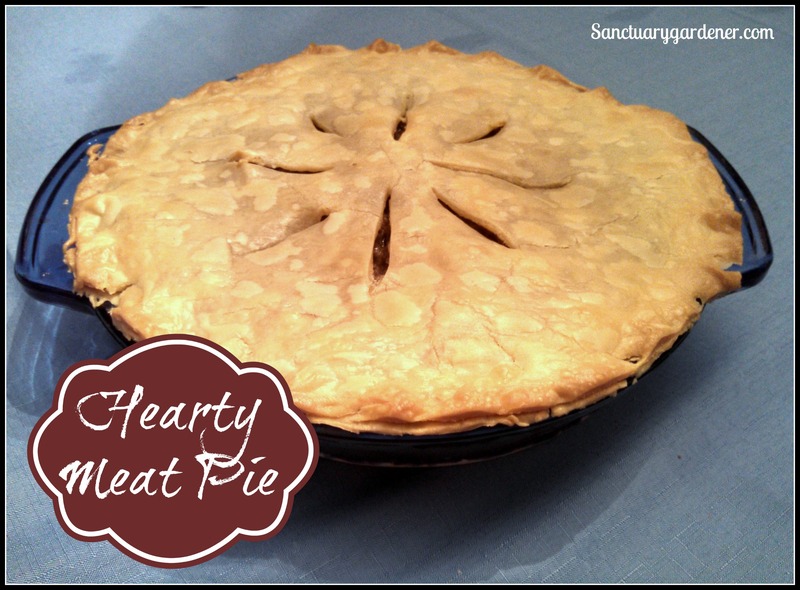 Hearty Meat Pie! Last week, I had an abundance of eggplant to cook up, and I just didn’t feel like making eggplant parmesan or eggplant fries. I looked around my kitchen and realized I had a good bunch of paste tomatoes and garlic, too, as well as a block of feta cheese. I wondered if I could make something with those ingredients that would taste yummy. Boy, was I successful! 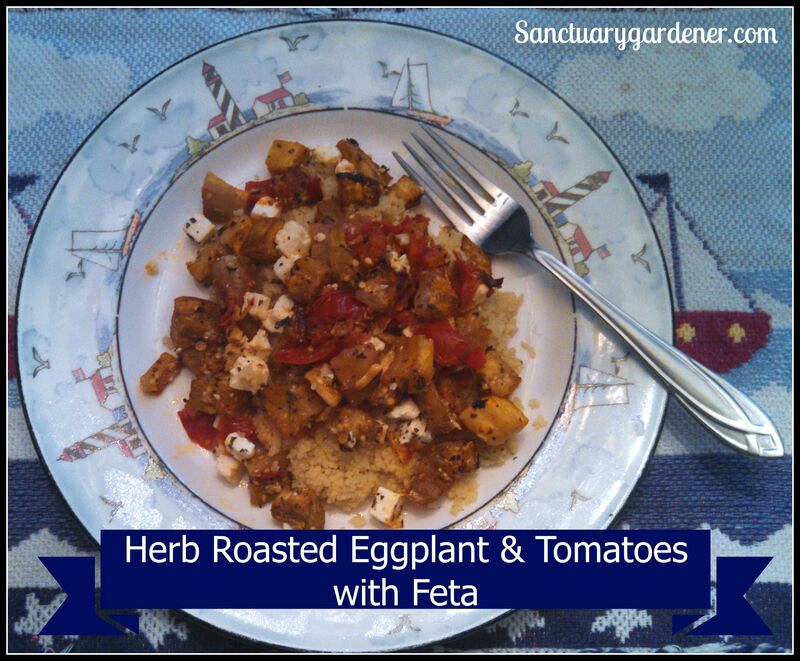 Herb Herb Roasted Eggplant & Tomatoes with Feta recipe! Yesterday, that sub-tropical-but-not storm from the Bahamas arrived off the South Carolina coast. While at work downtown, I watched the squall lines come ashore, grateful I was inside. It was a deluge! 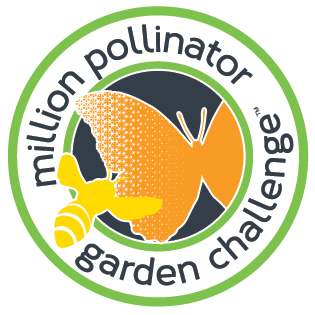 Thankfully, I live further inland, and my garden received only a nice steady rain. However, the storm didn’t bring warm air with it. It was actually a little “raw,” in the low 60s with a stiff breeze and rain. I needed something warm to fill my belly when I got home from work, and I wanted to use my recent harvest of chard and peas. 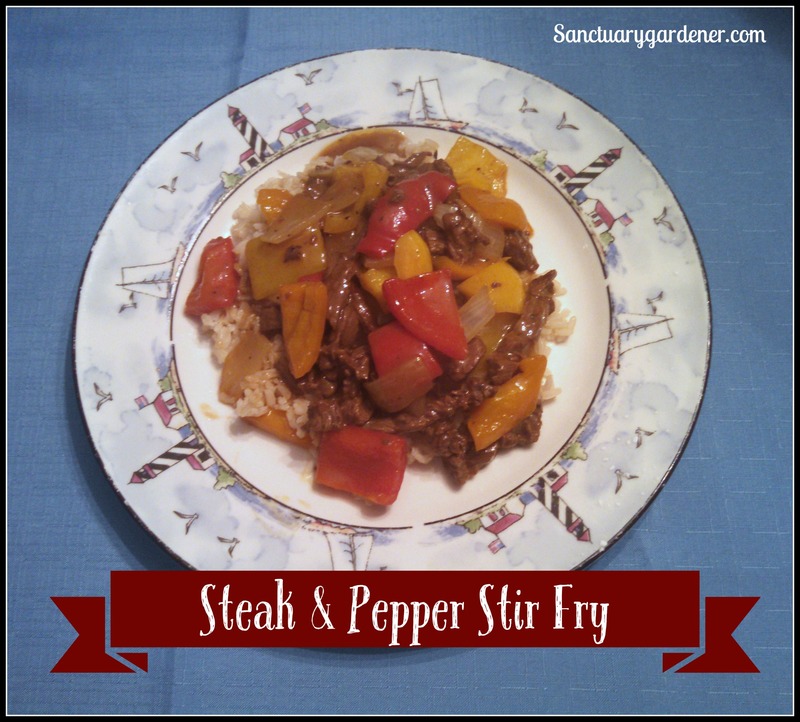 So, my Garden Wilson and I got creative together in the kitchen, and we whipped up this stir fry that tasted so wonderful, I had to share it with you. 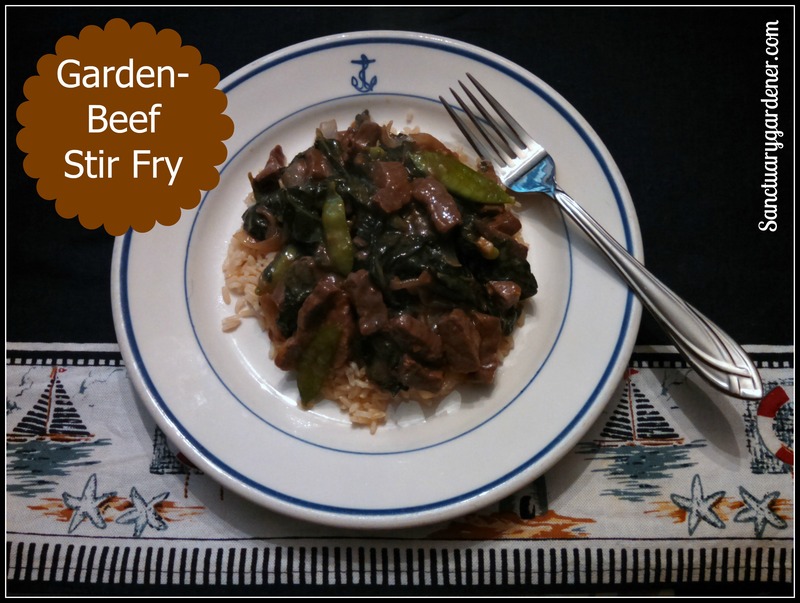 Garden-Beef Stir Fry recipe! I never thought this Yankee gal would be sharing a recipe for Southern greens, but here it is. 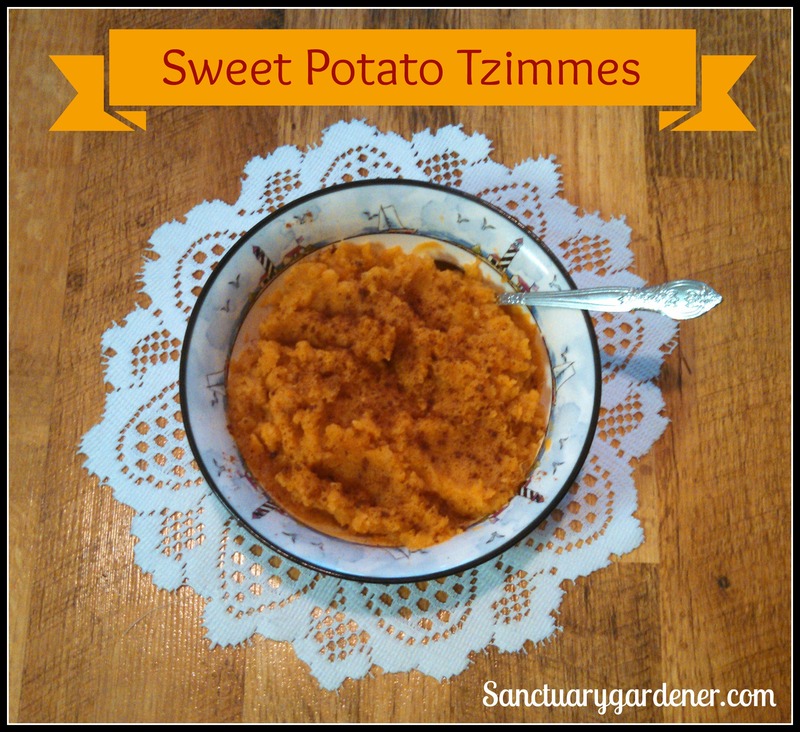 My southern readers won’t need this recipe, but everyone else around the country should try this…at least once. I admit, this is my version – which is kosher (no pork/fatback) – but my southern-born son, whose stepmom is as southern as they come (and makes great greens), told me my greens are pretty good. So, there you have it. A southerner’s stamp of approval. 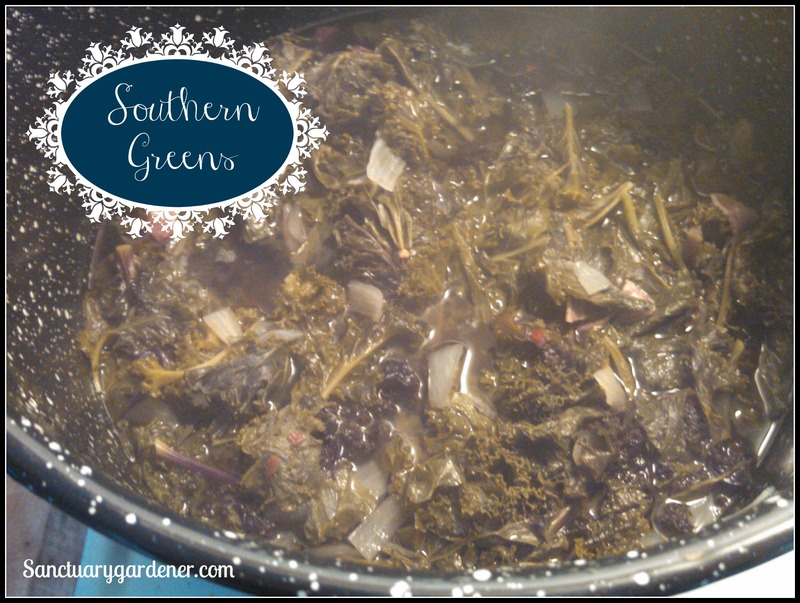 Southern Greens recipe! I love home made soup. Any kind of soup. But I didn’t realize the intense flavor I’d been missing because I’d never had soup made with long-simmered bone broth. Not only is bone broth tastier and richer than a mere stock, it’s also extremely healthy! 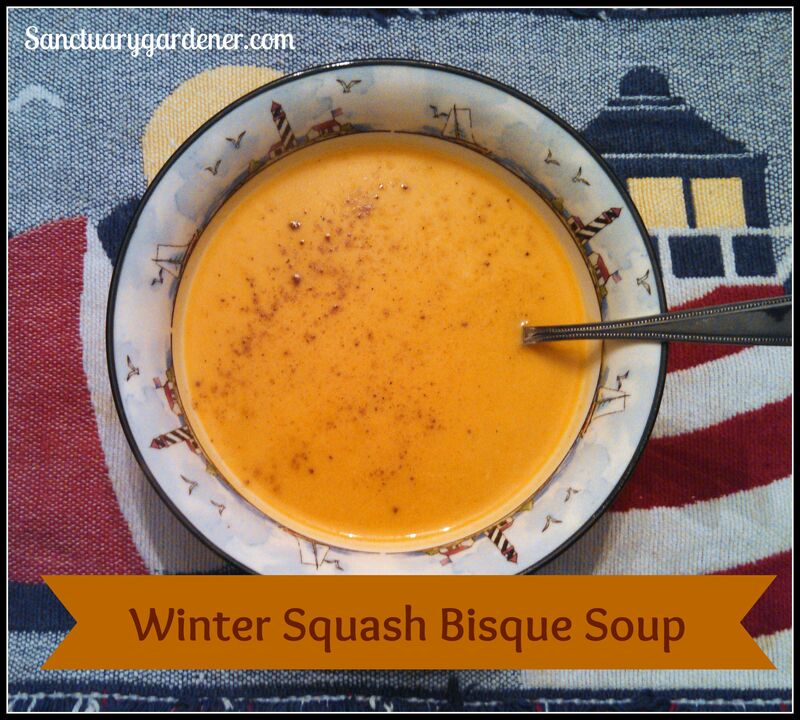 (For information on the health of bone broth, read Wellness Mama’s article, “Bone Broth Benefits for Health.”) With all the snow, cold, and wind over the country today (even in the South), I thought it a perfect day to share with you my bone broth recipe. 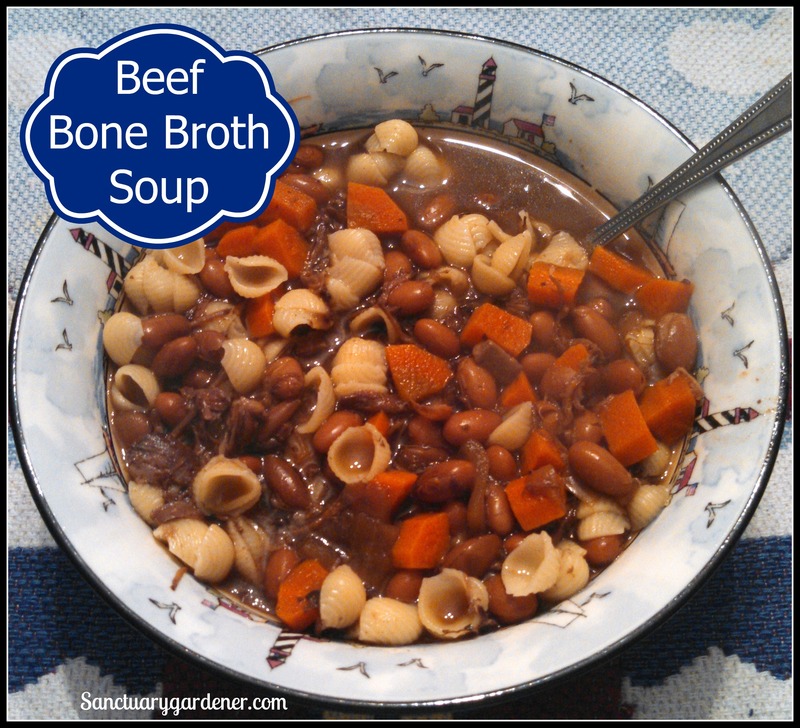 Beef Bone Broth Soup! With the cold weather and my office sounding like a TB clinic, I thought I’d warm myself up – and help my immune system – with a hot toddy. I’m not much of a drinker, but now and again (especially when I’m at a regatta party in the summer) I like to have a Dark & Stormy (a trademarked drink made of Gosling’s dark rum, ginger beer, and a twist of lime). So, I thought I’d create a hot toddy that reminded me of a Dark & Stormy. 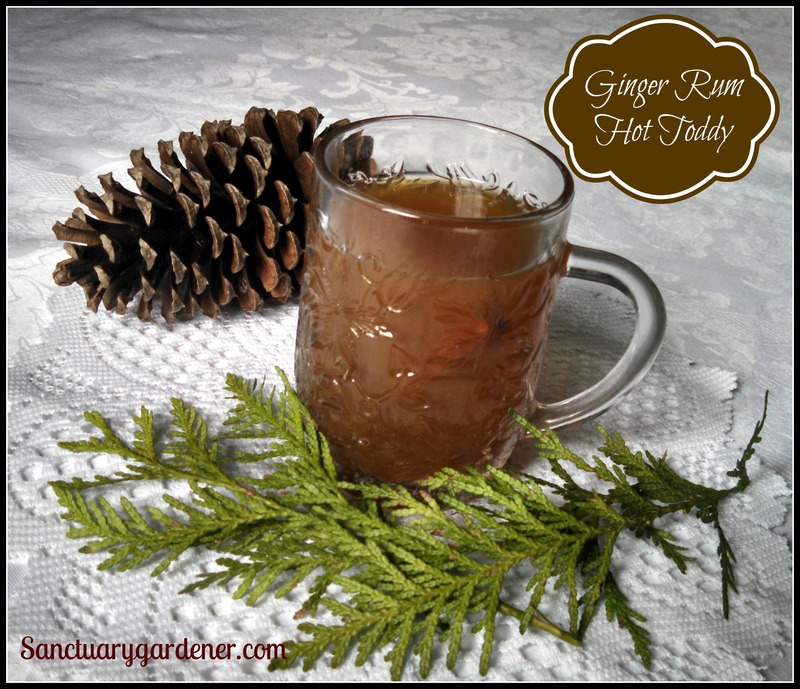 Ginger Rum Hot Toddy!